D1 Technologies has the products, services, and people that enable our customers to achieve the maximum return on their investment. Our services methodology enables us to accurately gather requirements, translate those into system designs, and implement those designs through applications that automate your business processes in predictable and cost effective manners. For all services, we utilize collaborative tools to keep executives and project team members updated on tasks that are being undertaken on behalf of our clients. By merging the SAP product (Business One, By Design, All-in-One) standard project methodology with our many years of experience, we have constructed a methodology that will ensure success for clients when implementing their solution. D1 Technologies proven implementation methodology results in projects that meet expectations, are completed on-time and on-budget, and deliver the promised return-on-investment. Want to learn more about how we help your company? The solutions that we offer are all designed to be adapted to your specific needs and business processes. When there is a gap between the out-of-the-box functionality of the product and your business process requirements, we have the knowledge, skills, and talent to extend the solution as needed. We also provide integration services when data needs to be transmitted and processed automatically between our clients and their trading partners. We utilize tools and methods that adhere to all standards published and approved by SAP to accomplish these tasks. Training is accomplished via classroom, web conferences, and/or E-learning, depending on your needs and staff location. Generally, a combination of all of these methods is used during your implementation. After Go-Live, our Support Desk is available for customers with questions and tips or for clients experiencing technical issues. When technical issues arise, RESOLVIT ERP will take the lead in making sure the issue is resolved ASAP. 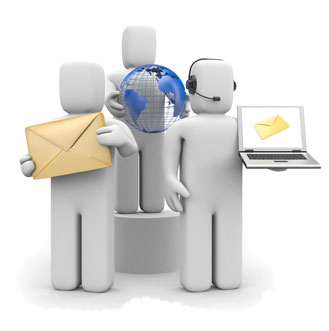 Our Support Desk also provides reporting, query, and general user help to all of our SAP B1 clients.